Pure Play Kids - Creative, Wooden Toys, Made-in-USA Toys ,Waldorf toys and Organic Stuffed Animals. Choose open-ended, battery-free toys and watch imagination and skills flourish in Babies, Toddlers, Preschoolers and Big Kids! Pure Play Kids was gracious enough to team up with us to kick-off some holiday shopping with 4 gift certificates! 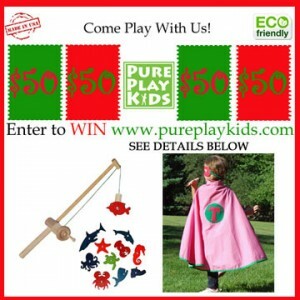 FOUR lucky winners will be randomly selected to win $50 to spend at www.pureplaykids.com! Winners will be selected on Monday, November 24! Pure Play Kids is all about creative & wooden toys, Made-in-USA Toys ,Waldorf toys, natural toys and organic stuffed animals. We are long time fans and you can see our review of their wooden cash register HERE. This toy still gets played with almost daily. 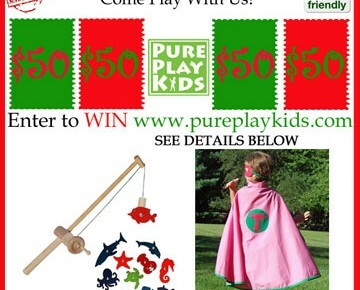 87 Responses to Pure Play Kids – Giveaway! That cash register is too cute! I just saw a wooden dollhouse on there that would be amazing to have! I would LOVE the cash register! how wonderful! What a fabulous website! Would love to win something for my littlest family member! I would LOVE to get the four floor wooden doll house but so many things look lovely on the site! The soy crayons look fabulous, I love the wooden rainbow…. basically if it’s wooden and organic I’m going to love it no matter what it is!! LOL!! the mighty minds brain teaser! I have a nephew who would like that! Love all the stackers and block sets! My boys would adore them! 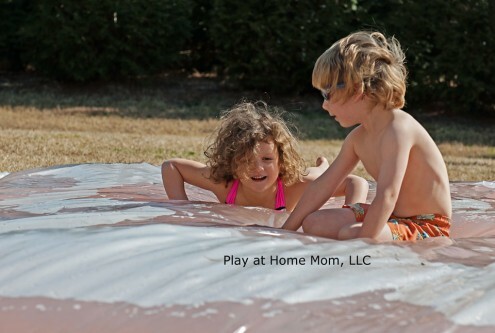 Kid powered creative play and mostly made in the USA, yes please! These toys look great! 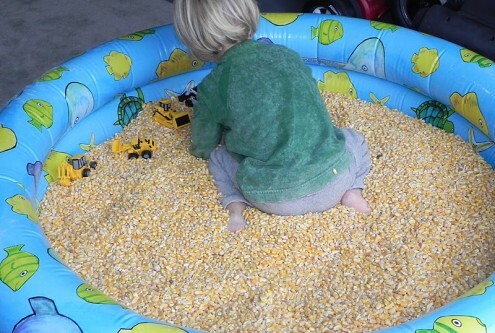 We’d love a new addition to our playroom! Wooden cash register! So fun! We’ve been wanting a cash register! Wooden rainbow stacker, waldorf puzzles. I’d love to get the magnetic fishing set and the marble run/blocks. Yes, please! Would love to get some great wooden toys for our kiddo and our soon-to-be-niece-or-nephew! I would love to purchase the 4 Floor Wooden Doll house! It would be hard to decide! So many awesome products! Thank you for this giveaway! 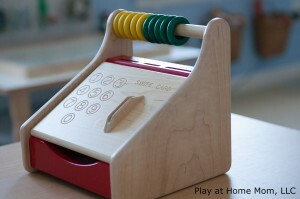 We would love to have a cash register to play with at home. So many things look interesting! I’d buy the wooden toy eggs, the beeswax crayons, wooden vegetables, and the cookware set! I love the name train! I would buy that, or some dollhouse furniture. Or both! So much awesome stuff to choose from! Would love the natural wooden stove and oven! I would buy the wooden pounding bench! Probablyl dress up, but I also love the idea of that toobalink. The fishing pole looks awesome… perfect for fishing off of the porch. I love all the wooden toys! The fishing pole looks like a lot of fun. I’ve been wanting the cash register! I think my son would love to play with the YOXO Robot Original Building Kit. The wooden doctor set. My daughter loves to play doctor and I’d like to replace her plastic set with this beautiful option. What would I buy? Well everything…love it all. My daughter is really into princesses right now so that would be the top of my list princess items. I would buy the cash register. Would love the cash register! Actually all the toys look fantastic!! Been looking for a wooden cash register for Christmas. The one up above looks great! The cash register would be a great learning toy! I would buy the Wooden Vegetables Play Food Set. I would buy thera putty and natural face paints! Id dove to win anything for my boys!!! Thank you so much!!!! Tubalinks! 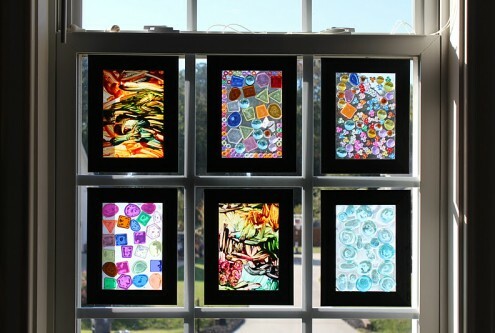 These would be an amazing addition to my pre-k classroom! I would love for my daughters to have the cash register and some of the craft projects. My son spent yesterday at the store playing with the fishing rod but it was plastic and clearly not well made. I think my son would love the cash register, or the magnetic fishing set, or the robot builder item. I would buy a sorter or stacker toy for my 8 month old! My son loves to drive cars around on the floor, the little wooden set would be perfect! Would love the cash register or the fishing set- so cute! I would love to get the rainbow stacking blocks or the magnetic building set. The marble run looks like fun for both my 3 yr olds! I have my eye on the pounding bench and the wooden cash register for our preschool. Thanks for doing such a great giveaway! Hi …..my dauhter would love. Paynig with te cash register its so cute! My daughter is always “selling” me something, from ice cream to pets to shoes. I’d love to add a cash register to her play area. She has a birthday coming up next month in addition to Christmas so it’s definitely time to get one. Choosing!! The fishin game looks fun! 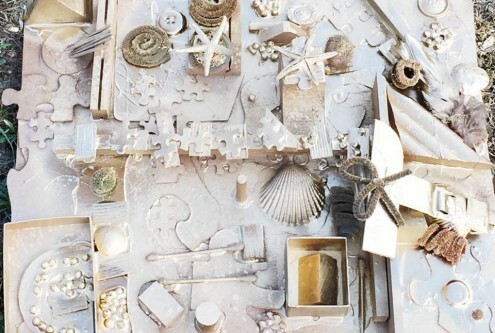 My kids would love the geometric magnets and the wooden robot kit. It would be so hard to choose! I *think* I would get the magnetic fishing set for my youngest and two needle felting animal sets for my older daughters. My daughter would love the cash register or wooden kitchen! so nice to see a simple register! Wooden toys are the best. Lovely giveaway! I love the little wooden tea bag set, and the waldorf dolls, and the wooden memory game…so many wonderful things! I’d choose one of the Waldorf dolls. I would get the metal tracked construction vehicles and the wooden block and marble building set. I love Pure Play Kids and have bought from them a few times before! $50 would be very helpful this Christmas! Thank you! I’d have a hard time deciding what to get! I would buy the cash register or the fishing pole set! Both look really fun. the cash register for sure!!! What an awesome giveaway! I would love some great toys like these to bring my boys’ imaginations to life! So hard to decide…probably puzzles…..so many great choices! The magnetic fishing set and the finger puppets. I would get the fishing pole with the sea creatures add on set, or the layered boats puzzle. Thanks for the giveaway!